Terry Spehar-Fahey is a professor of art at California Lutheran University in Thousand Oaks, California. 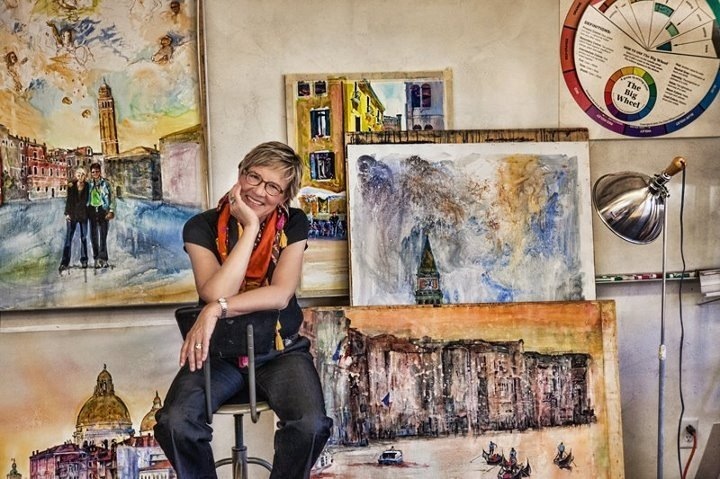 She works in watercolor primarily and teaches watercolor along with a variety of courses including Art and Psychology, Visual Art in Education, Drawing and two co-led courses with a colleague: ComicComm and Imagining Venice. Terry’s position at Cal Lutheran culminates a number of careers as a gallery artist, mom, cost accountant, graphic and technical artist, and high school teacher.